Facebook is launching a UK initiative to train and fund local organisations to combat extremism and hate speech. It comes a week after the social network announced steps of its own to remove terrorist-related content from its site. The UK Online Civil Courage Initiative's initial partners include Imams Online and the Jo Cox Foundation. Facebook has faced criticism for being slow to react to terrorist propaganda on its platforms. "The recent terror attacks in London and Manchester - like violence anywhere - are absolutely heartbreaking," said Facebook's chief operating officer, Sheryl Sandberg. "No-one should have to live in fear of terrorism - and we all have a part to play in stopping violent extremism from spreading. "We know we have more to do - but through our platform, our partners and our community we will continue to learn to keep violence and extremism off Facebook." In recent months, governments across Europe have been pushing for technology companies to take more action to prevent online platforms from being used to spread extremist propaganda. 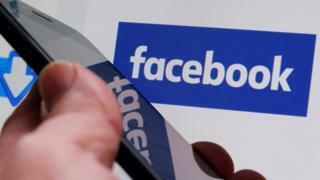 In particular, security services have criticised Facebook, Twitter and Google for relying too much on other people to report inappropriate content, rather than spotting it themselves. In April, Germany passed a bill to fine social networks up to €50m (£44m) if they failed to give users the option to report hate speech and fake news, or if they refused to remove illegal content flagged as either images of child sexual abuse or inciting terrorism. Following the London Bridge terror attack, UK PM Theresa May announced that new international agreements needed to be introduced to regulate the internet in order to "deprive the extremists of their safe spaces online". And last week in Paris, Mrs May and French President Emmanuel Macron launched a joint campaign to look at how they could make the internet safe, including making companies legally liable if they refused to remove certain content. Similar initiatives to counter hate speech were launched in Germany in January 2016 and in France in March 2017. They have held training workshops with more than 100 anti-hate and anti-extremism organisations across Europe, and reached 3.5 million people online through its Facebook page. In the UK, people are being encouraged to visit the UK OCCI Facebook page, to share stories, content and ideas, and use the hashtag #civilcourage. Brendan Cox, the widower of murdered MP Jo Cox and the founder of the Jo Cox Foundation, has welcomed the move. "This is a valuable and much needed initiative from Facebook in helping to tackle extremism," he said. "Anything that helps push the extremists even further to the margins is greatly welcome. Social media platforms have a particular responsibility to address hate speech that has too often been allowed to flourish online. "It is critical that efforts are taken by all online service providers and social networks to bring our communities closer together and to further crack down on those that spread violence and hatred online." The initiative was launched in conjunction with the Institute for Strategic Dialogue.